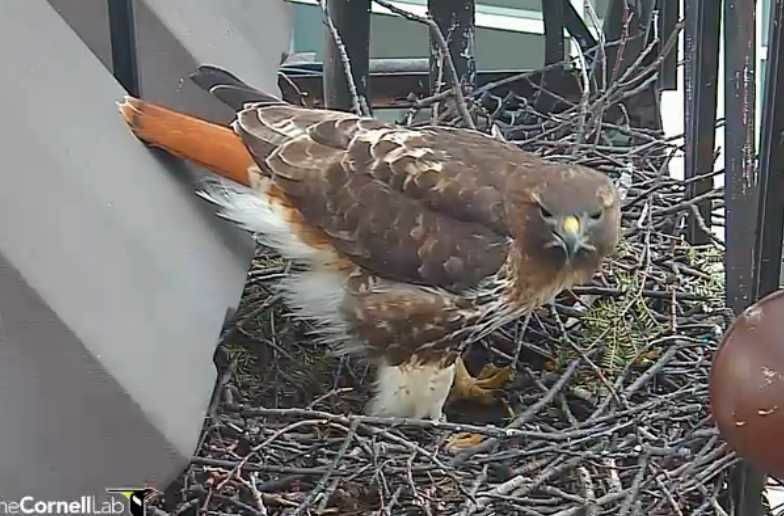 Not sure what type of hawk you are observing? We have our first egg! 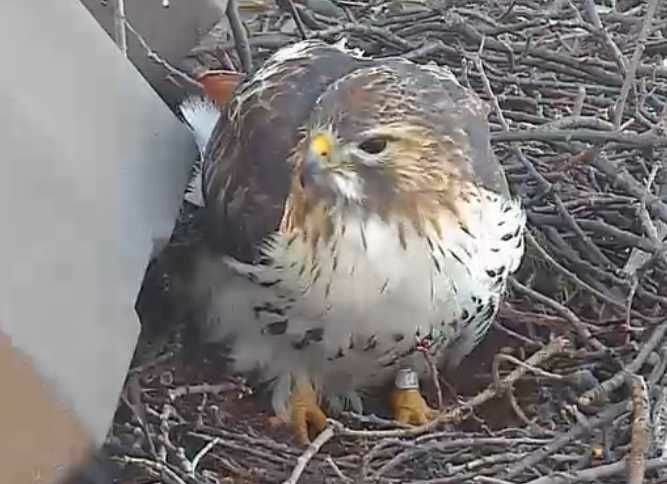 Big Red and Ezra's first egg was laid today March 19, 2014 at around 1:11PM. Thank you Dani-I love this nest!! Sad news to report from philly. 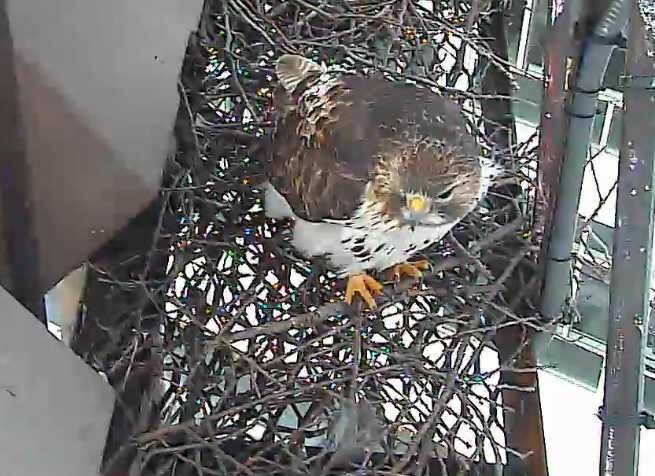 The Tiercel partner of the franklin institute formel, was found dead in the 30th street station train yard. The earlier supposition was that the couple was relocating to a light tower in the rail yard. 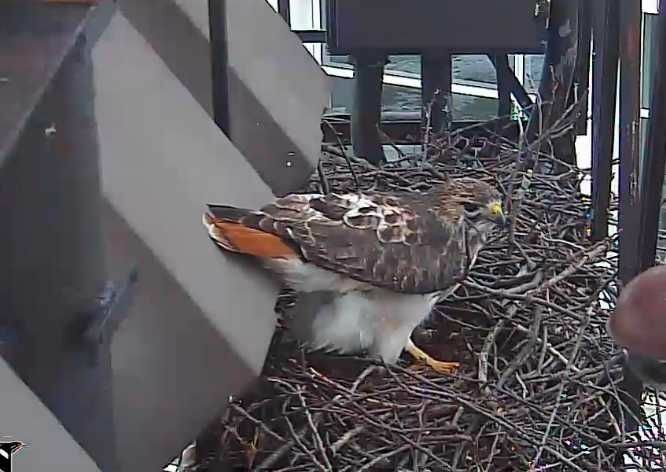 T2 was the male who took over after the first Tiercel was killed a week after thier eyasses hatched. However, this afternoon, the Female was in a tree while another,potential mate?, was seen soaring above her. I had posted this news earlier on "breaking news"...didn't see this to post here so thanks for posting! It's so sad to hear that T2 has been lost...what a great mate he was to Mom. And then there were two! 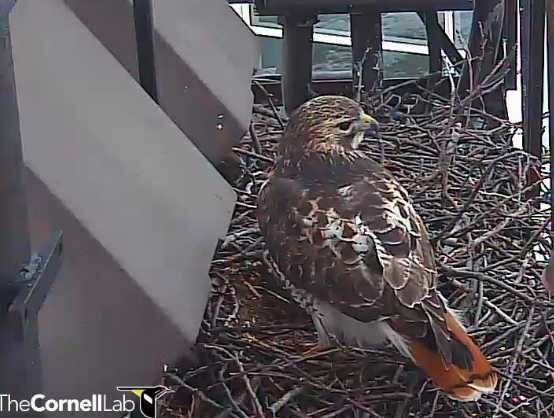 A second egg laid this morning by Big Red—the question on everyone's mind: will there be a third? 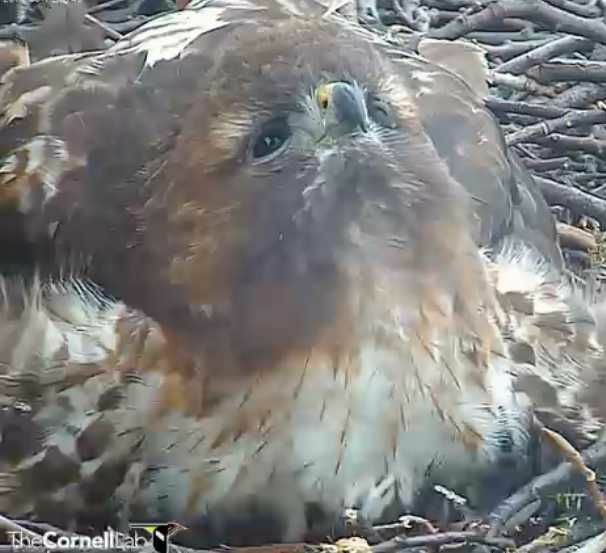 Watch live at allaboutbirds.org/cornellhawks and see what happens. Yea...two eggs for Big Red & E=thanks Dani! They are so beautiful. Thanks Dani!! !